iTipFooty app is for iTipFooty.com.au an Australian Footy Tipping Competition website. 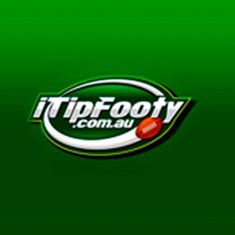 iTipFooty.com.au provides tipping competitions for NRL, AFL, SUPER RUGBY, A-LEAGUE and FIFA WorldCup 2014. Enter tips, Knockout tip, Joker, view results and view your tipping competition ladder from your device. nWorks Technologies developed this application from concept shared by the customer. For more information on this application, please contact us. We have been in business since 2005. Although experience and stability count, it's wisdom and results that we are more judged by now. Our performance almost entirely depends on our people and luckily they are great. The people that work for us are not here just because they are talented and well trained experts. They have to have a special quality - They have to enjoy what they do and enjoy doing it with us. nWorks Technologies attended the "Startup Master Class" in Bengaluru, INDIA on 27th February 2016. 5th February 2016, Mumbai, INDIA - nWorks Technologies helps Djinie Technovations, a Mumbai, INDIA, based start up launch its business. The Team at nWorks were very thorough going through the brief and making sure everything was covered before they began. Very nice & professional way to handle Project. Thanks nWorks team. © 2003 - 2016 nWorks Technologies. All Rights Reserved.